There is a veritable plethora of advice online and elsewhere for women on how to make sure they look absolutely perfect for their big day. From the hair right down to the shoes, the multitude of articles targeting women’s fashion has covered just about everything. Yet, when it comes to weddings, it takes two to tango and a groom’s tuxedo, although often neglected by wedding magazines, is just as important as a bride’s dress. The embellishments of a tux are much more subtle than those of a wedding dress but that doesn’t mean they can’t be as fun and unique. 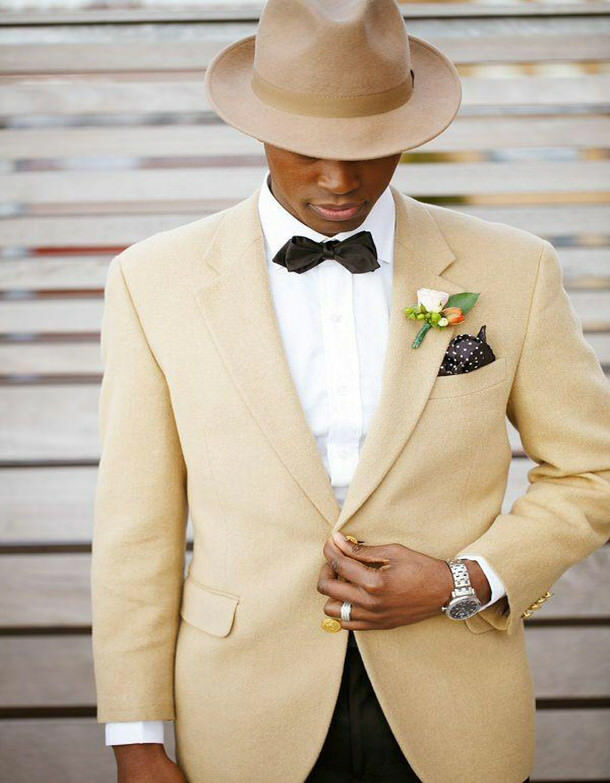 So without further ado, here are three ways to make your wedding tuxedo as snazzy and stylish as possible. Patterns?! Yes, patterns. Before you start imagining waltzing down the aisle in a tartan suit or paisley jacket, let us clarify, we are not advocating patterned tuxedos. However, there are subtle and effective ways to incorporate patterns in your outfit. Jazz up your ensemble with a colourful bowtie, pocket square or even just using some fancy fabric on the inside of your collar. There is a lot to be said for the classic tuxedo look but there is absolutely nothing unique about it. For something a bit more out there why not add some ruffles to your look? This vintage style addition is bold and powerful and sure to turn heads. Alternatively, opt for a velvet jacket in a deep wine or navy to compliment your sleek white shirt. The unconventional texture is a great way to make your outfit pop as you await your love at the end of the aisle. Tuxedos have so much more accessorising potential than first meets the eye. You might be tempted at first to settle with a simple tie or bowtie but what about spicing those neck adornments up by opting for a tie clip or matching pocket square? You might also want to consider some colourful socks for a splash of excitement if ever your trouser leg rides up. Other options include personalised cufflinks (perhaps engraved with your bride to be’s initials) or braces for a really stand-out look.